Cryptocurrencies are here to stay and they have got another believer. Jen-Hsun Huang, the chief executive officer of one of the largest graphics card makers Nvidia, has recently given a supportive statement in favor of cryptocurrencies saying that “crypto is a real thing — it’s not going to go away.” This statement comes at a crucial time for all cryptos including Bitcoin which has just started gaining value after dropping to a low of $6,500 on Tuesday, now trading at $8,800 (as of writing), a big boost in 4 days. 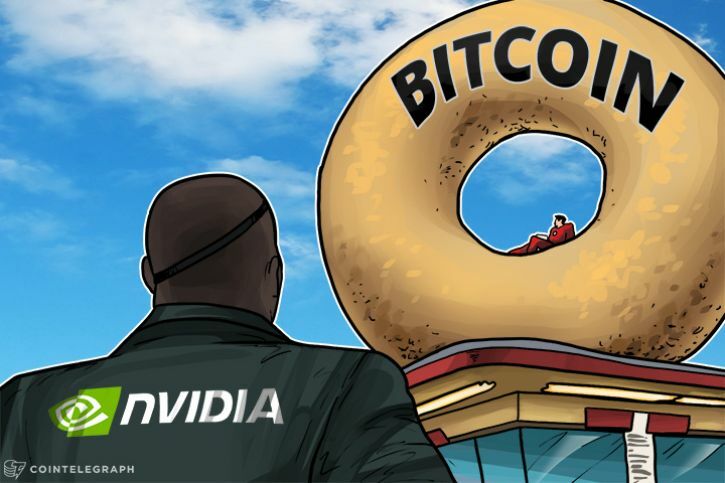 Nvidia has announced fourth-quarter results for 2017 on Thursday, where it was revealed that Nvidia’s GPU products continued to see strong demand from cryptocurrency miners in Q4. Meanwhile, during an interview with Barrons, Nvidia’s CEO Huang has said that “clearly, there’s a lot of talk about crypto.” Interestingly, the demand for GPUs for crypto mining has increased since last year, and thus the price of these cards has also increased. This, as a result, has caused fatigue for gamers who are unable to afford sky-high prices of GPUs. The benefits of the technology underlying cryptocurrencies have been talked about various other renowned institutes including Royal Bank of Canada (RBC), which claimed that cryptocurrencies and blockchain can unlock $10 trillion market. Furthermore, the regular price of a high-end graphics card, such as Nvidia’s GTX 1080 Ti is listed on the company’s site for $699. That’s quite affordable for games. But with crypto miners getting their hands on the cards to perform the calculations needed to mine cryptos like Bitcoin, prices have skyrocketed to as high as $1,800 to $2,000. Nvidia should take the step, either by controlling prices or by meeting high demands.